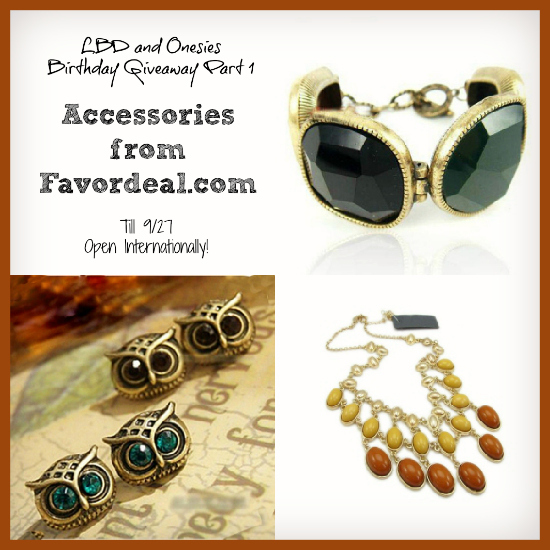 For the first part of my birthday giveaway, I would be giving out gorgeous jewelries courtesy of Favordeal.com. I was actually supposed to do this giveaway a few weeks ago, but I had so much going on. And I think that this giveaway would be perfect for my birthday as a way for me to share my blessings to each and everyone of you! The giveaway will run from September 6 to September 27. Favordeal.com will ship the prizes directly to the winners. - Go to Favordeal.com and tell me on which one is your favorite piece! Also, include your email address. Thank you, Favordeal.com for sponsoring this giveaway! it's too hard to name a favourite piece i'm afraid, they have such million things i love, but here is a simple example: http://www.favordeal.com/european-fashion-house-pendant-chain-necklace.html. thanks you so muchh! This one I love the most. Silver colured neck piece with wow design. This choker necklace for women will enhance my beauty.. I like Fashion Shell and Turquoise Drop Dangle Earrings. Lubka K.
i wanted to have this.. I love this, so fierce! Everything on Favordeal looks seriously amazing so it's hard to pick just one thing but I'd have to say http://www.favordeal.com/bohemia-style-lovely-heart-peacock-leaf-key-link-charm-bracelet.html this charm bracelet, it's so freakin' pretty.